Houston comes alive at night, with dives, cocktail bars, and nightclubs dotting the city. 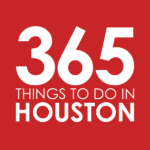 In our Houston Nightlife: Best Bars series, we’ll cover the best night owl watering holes in each neighborhood. It may be tiny, but EaDo—or East Downtown—has affectionately been called the “Art & Soul of the City.” Home to the old Chinatown (before it moved to its bigger digs), the once warehouse-heavy no man’s land is slowly transforming into the city’s next haute neighborhood. So it’s no surprise the area offers some seriously fun and funky nightlife options. Note: For the purposes of this list, EaDo is defined by this map. Around the Corner – Housed in a beautifully restored bungalow space and rocking a sweet patio with views of the skyline, Around the Corner draws a hip crowd looking for a laidback, good time. By night, the hangout transforms into a relaxed wine bar and cocktail lounge, with sips like the Peach Bourbon Smash and gin-kissed Blackberry Bramble. Linger over your drinks and shareables from charcuterie boards and banh mi sliders to spinach dip and margherita pizza. Click here for directions. Little Woodrow’s – The EaDo outpost of this local favorite sports bar offers 35 beers on tap, televisions for game day, and some pretty awesome daily specials. Stop by on Tuesday nights to partake in the fun that is Crab Racing, starting at 8pm. Click here for directions. Lucky’s Pub – The revelry goes well into the night at this massive sports pub, which sits in walking distance from major sports hubs like Minute Maid Park, Toyota Center, and BBVA Compass Stadium. It’s also the perfect spot for watching the games, with 50 HDTVs and massive projection screens throughout. Stop in for flowing pitchers of beer, sloppy burgers, and bar pies; and don’t miss fun events like New Year’s Eve and their annual St. Patty’s Day blowout. Click here for directions. Miss Carousel – Located next to sister establishment Indianola, this Agricole Hospitality (Revival Market, Coltivare and more) stunner is its cocktail bar concept, offering high-quality boozy concoctions and plenty of charm. Sip Whiskey Juleps, Sherry Cobblers, Chicory Negronis, and spirituous Old Fashioneds; or go for wines and beers alongside bites like crispy duck wings, Gulf shrimp cocktail, Wagyu burgers, and carrot-beet tartare. Click here for directions. Neil’s Bahr – Unleash your inner gamer at this nerdy, fun-loving dive, known for its stiff and cheap drinks, comic book collection, and a smorgasbord of video and board games (Mario Kart, anyone?). Don’t miss the late-night hangout’s lineup of happenings, from movie screenings and Smash Bros tourneys to trivia and karaoke nights. Click here for directions. Pitch 25 – Soccer fanatics won’t want to miss this massive sports bar and beer park, co-founded by Dynamo legend Brian Ching. The go-to spot rocks a soccer pitch inside the bar, plus a Texas-sized selection of nearly 100 draft beers and top-shelf wells. Click here for directions. 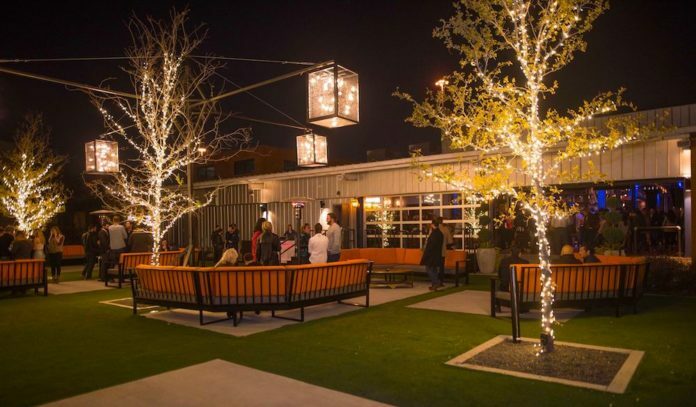 Truck Yard – With a working Ferris wheel and lineup of tasty cocktails on tap, this sprawling indoor-outdoor bar is truly an adult playground. You’ll want to grab a seat in one of the truck beds and stay a while thanks to fun stuff like live music, tons of booze, and an inhouse cheesesteak shop. Click here for directions. Other great options – Get the nightclub experience at Mercy; enjoy craft cocktails and bites at this trendy hangout Chapman & Kirby; watch soccer on the big screen alongside pints and Indian pug grub at King’s Court; hit the taproom and backyard at 8th Wonder Brewery; catch popular and up-and-coming artists at Warehouse Live; and play volleyball, soccer and more at sports facility and bar Sports Creek.